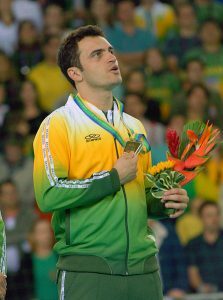 Lewis Wright in Sport on 16 January, 2017. Cristiano Ronaldo might have topped an unprecedented year by becoming The Best FIFA Men’s Player of 2016, but there were seven other awards also handed out at the ceremony which have gone largely unnoticed as the Real Madrid and Portugal star took the headlines once again. Astonishingly, potentially the world’s greatest ever footballer’s ability was doubted in the media and across social media heading into 2016. However, Cristiano Ronaldo brushed aside La Liga rivals Antoine Griezmann and Lionel Messi to win The Best FIFA Men’s Player award for a fourth time. Ronaldo became a European champion for the first time with his international side Portugal, and was also a key part of a Real Madrid side that won a record 11th European Cup title by defeating Atletico Madrid in the final for a second time in just three seasons. Carli Lloyd was again named the best player in women’s football at the Best FIFA Awards. Competing against fellow finalists and superstars of the women’s game, Melanie Behringer and – contender for the most prestigious award in football on 12 of the past 13 occasions – Marta, Carli Lloyd has capped off another exceptional year with The Best FIFA Women’s Player award. 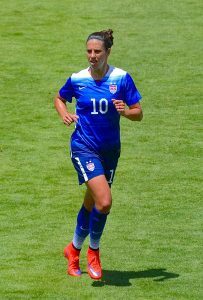 The USA No.10 would have been as disappointed as any of her international teammates as her side were unable to leave Rio with an Olympic medal back in the summer, but she still enjoyed an excellent individual year, retaining her title after winning the World Cup in 2015. Regarded as one of the greatest coaches in the history of the game, Silvia Neid held off some quite considerable competition to win the 2016 Best FIFA Women’s Coach Award, favoured over US boss Jillian Ellis and Swede Pia Sundhage. The former German boss capped off an unforgettable career as a player, assistant coach, and head coach, by guiding her team to their first ever Olympic Games gold medal in Rio, defeating Sundhage’s Sweden 2-1 in a final that was attended by over 52,000 supporters inside the Maracanã. The Best FIFA Men’s Coach: Claudio Ranieri did the unthinkable by guiding Leicester City to the Premier League title in 2016. When Claudio Ranieri joined Leicester City in July 2015, he was hardly an unknown name to football supporters in the Premier League, or anywhere else in the world for that matter. However, what he was about to achieve with the club was surely the most incredible feat in the history of England’s first division. 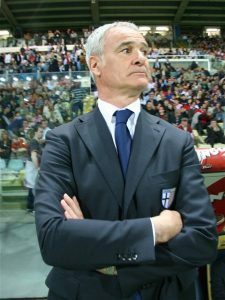 In guiding The Foxes to their first ever Premier League title, Ranieri made the club and any speculative onlookers who d the club at 5000/1 an awful lot of money, and the Italian won the award ahead of Portugal’s European Championship winning coach Fernando Santos and Real Madrid’s Champions League winner Zinedine Zidane. Awarded to the club or individual that shows the greatest level of “exemplary behaviour that promotes the spirit of fair play and compassion on and off the field” in the eyes of FIFA, the Fair Play Award was rightly handed to Colombian side Atletico Nacional. The club requested that CONMENBOL award the Copa Sudamericana to their planned final opponents Associação Chapecoense de Futebol, after the Brazilian side so tragically lost the majority of its staff who were travelling to the event in a plane crash, along with a considerable number of media personnel and citizens who were also on their way to Colombia. 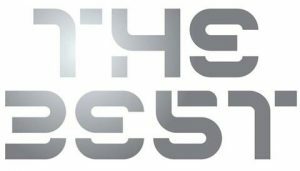 An award that is more attainable to the ‘average’ footballer than the aforementioned, the Puskás Award is handed to the player adjudged to have scored the goal of the year. Fans this year voted in their millions for Malaysian player Mohd Faiz Subri’s incredible swerving free-kick, which flew past goalkeeper Mohd Nasril Nourdin at the Bandaraya Pulau Pinang Stadium. Handed on this occasion to a global icon of the sport of futsal, the FIFA Award for an Outstanding Career was won by Brazilian winger Alessandro Rosa Vieira – known more frequently to the world as Falcao. A two-time FIFA Futsal World Cup winner and the competition’s all-time record goal scorer, Falcao scored 48 times on that stage, and lost in either normal or extra time at the tournament on just one of 34 occasions throughout his prestigious career. The ceremony’s final award, as voted for by several thousand professional players from around the world, was dominated by La Liga giants Real Madrid and Barcelona, with ten of the 11 names on the ‘team sheet’ having played for either side in 2016. Perhaps the most noticeable omissions from the side were The Best FIFA Men’s Player Award finalist Antoine Griezmann, along with Germany and Bayern Munich defender Jérôme Boateng.